What fun! 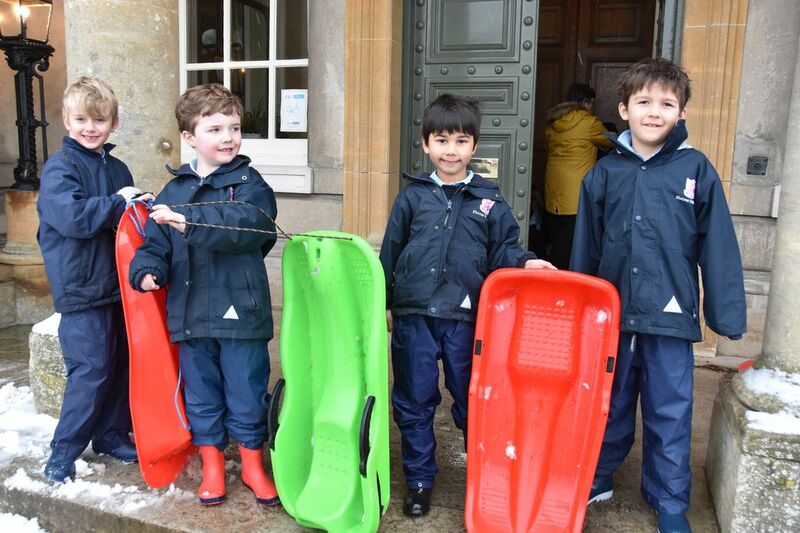 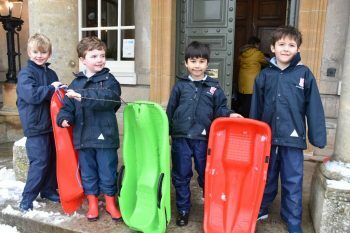 The boys have been fabulous and entered fully into the spirit of Friday’s snow day. 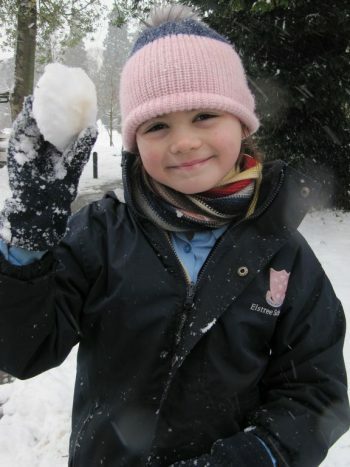 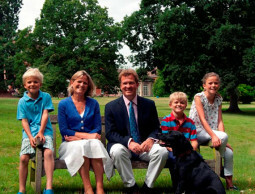 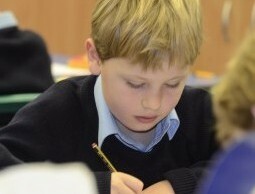 In the morning it was mostly lessons as normal, with some additional sport, art and DT. 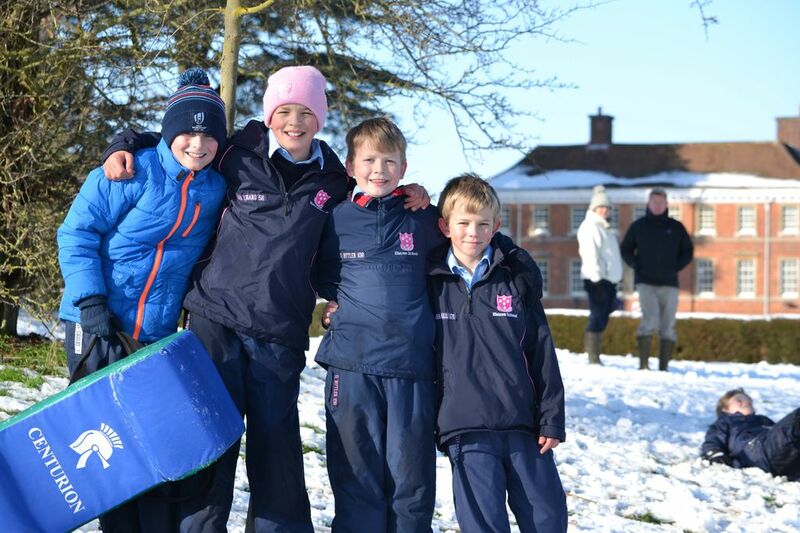 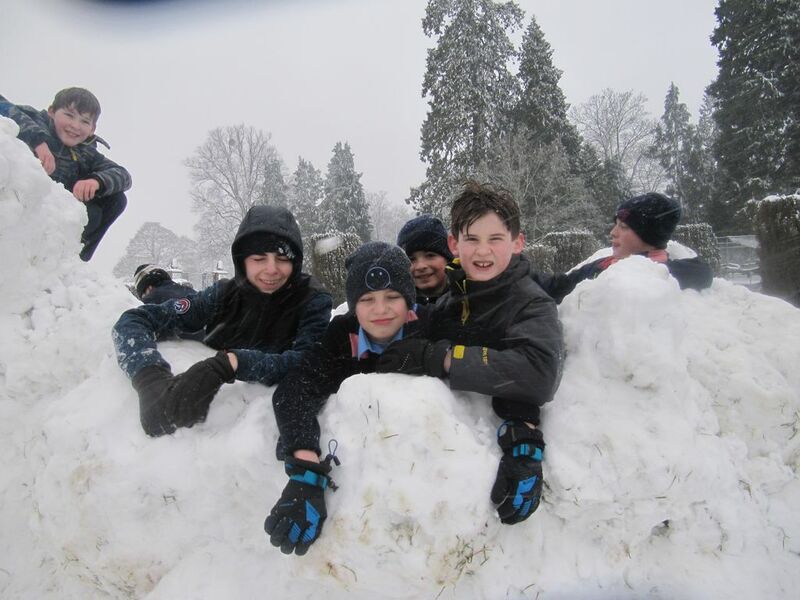 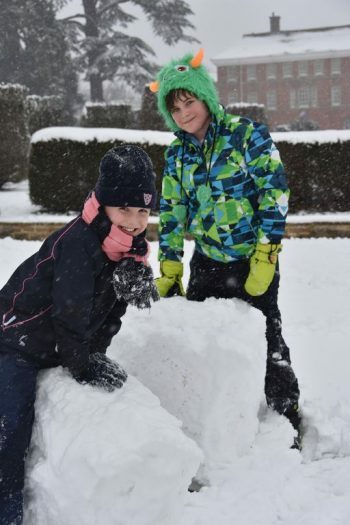 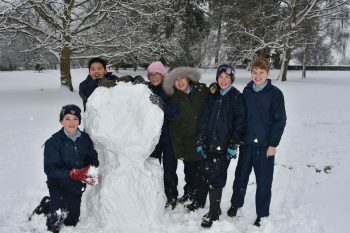 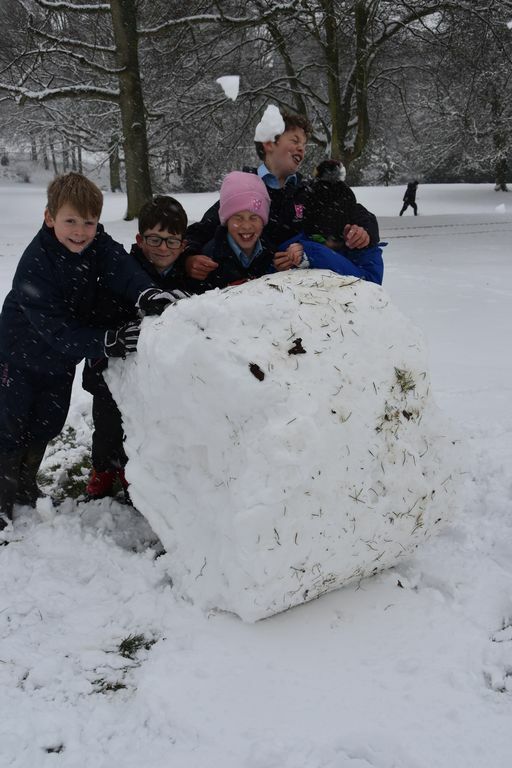 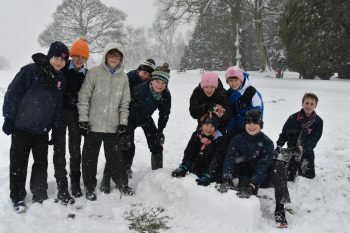 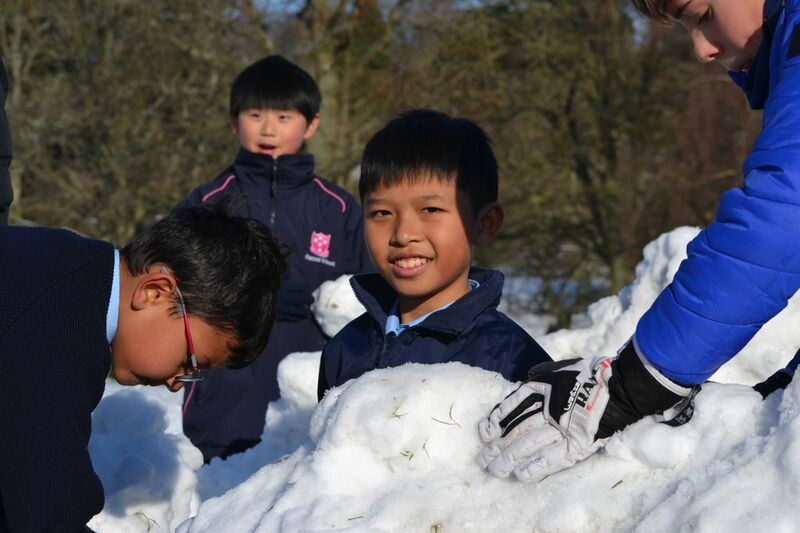 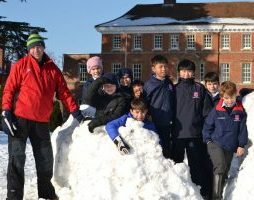 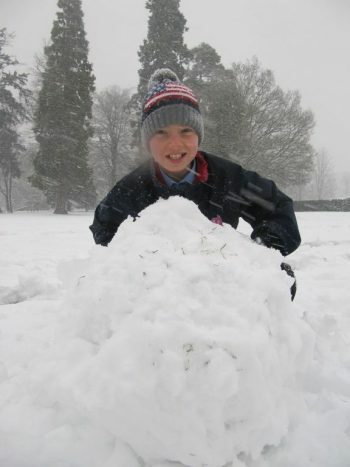 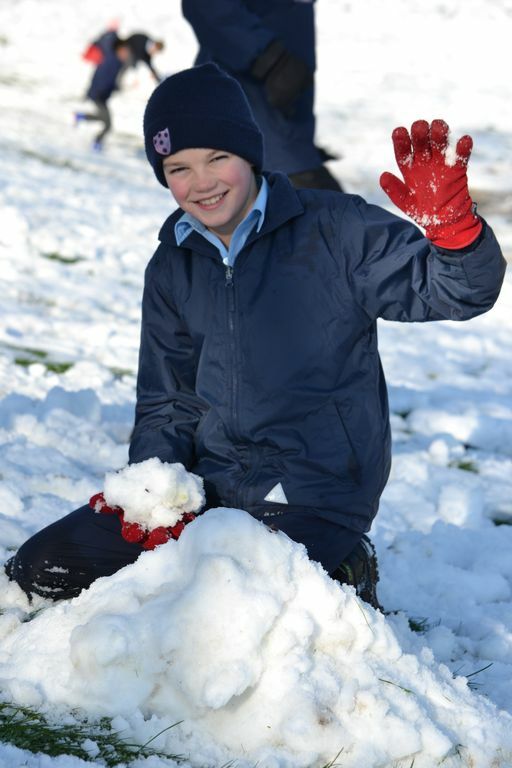 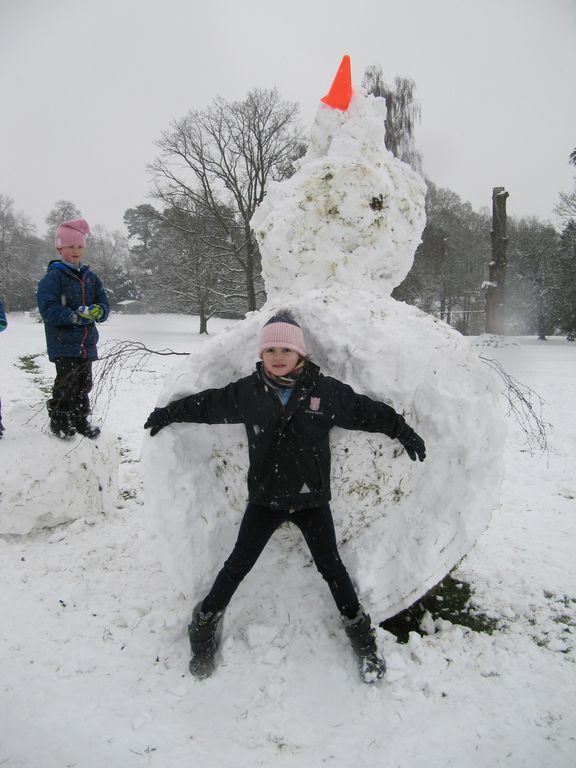 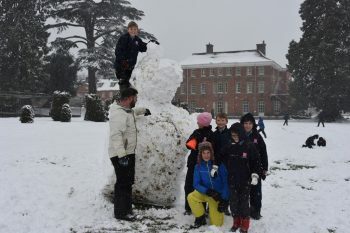 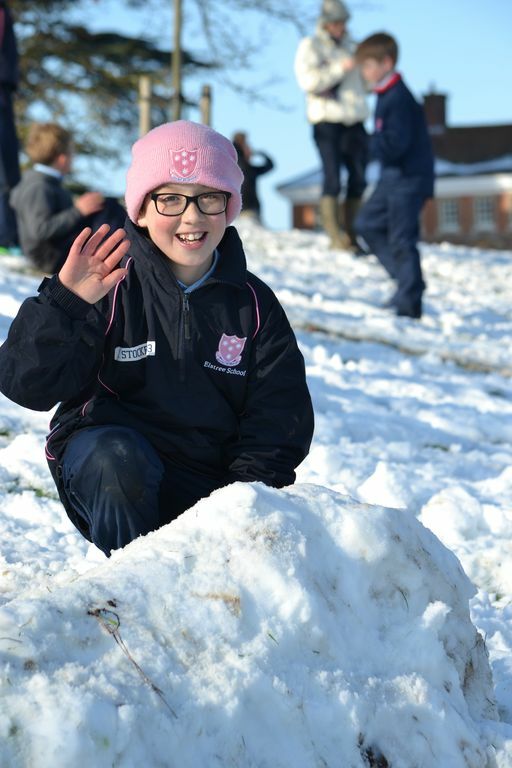 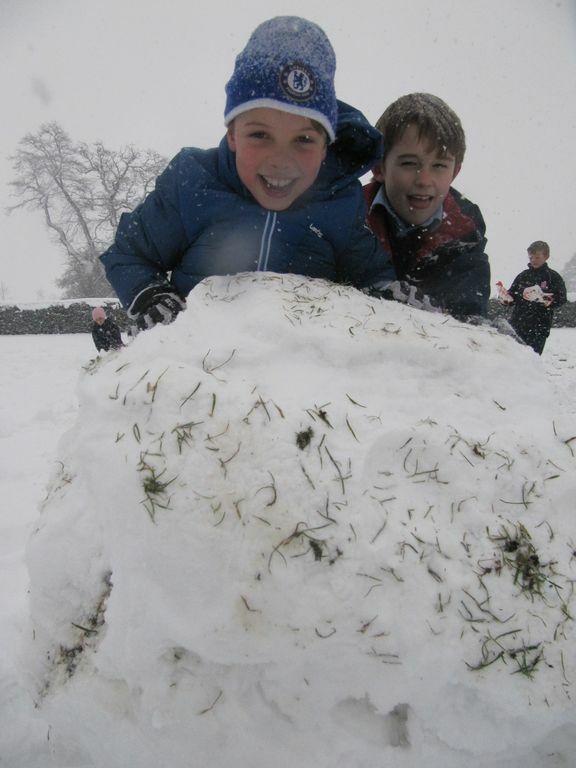 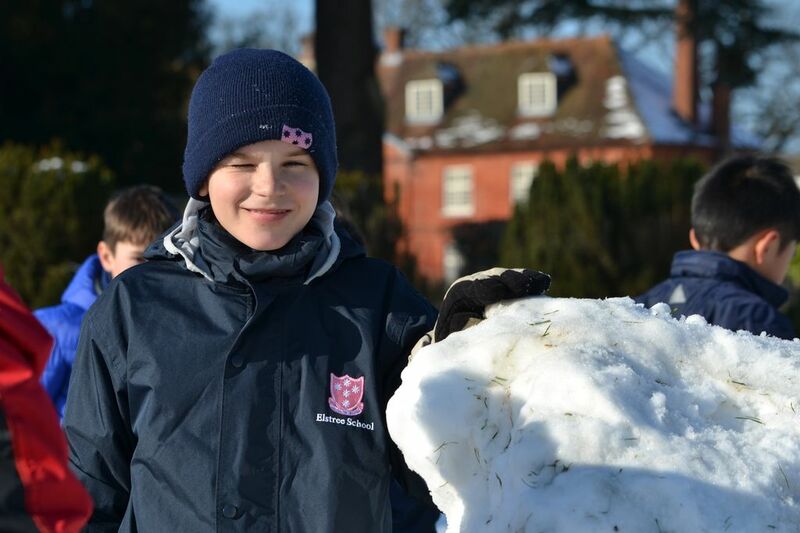 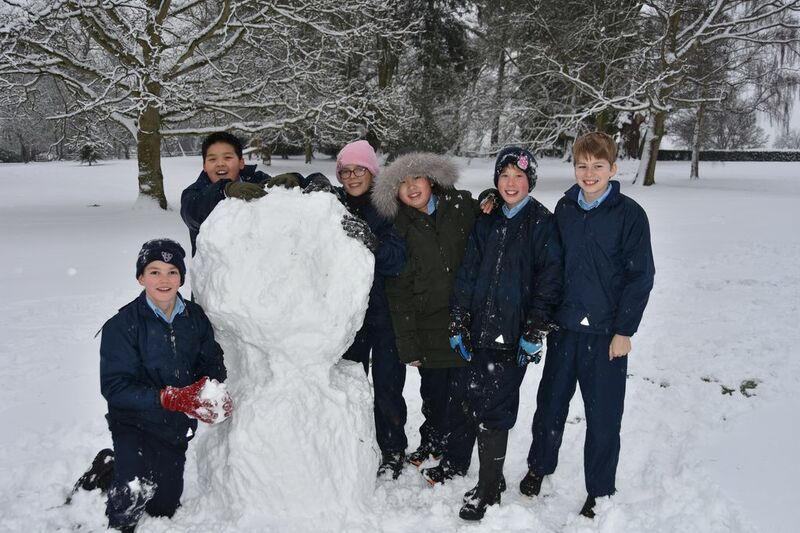 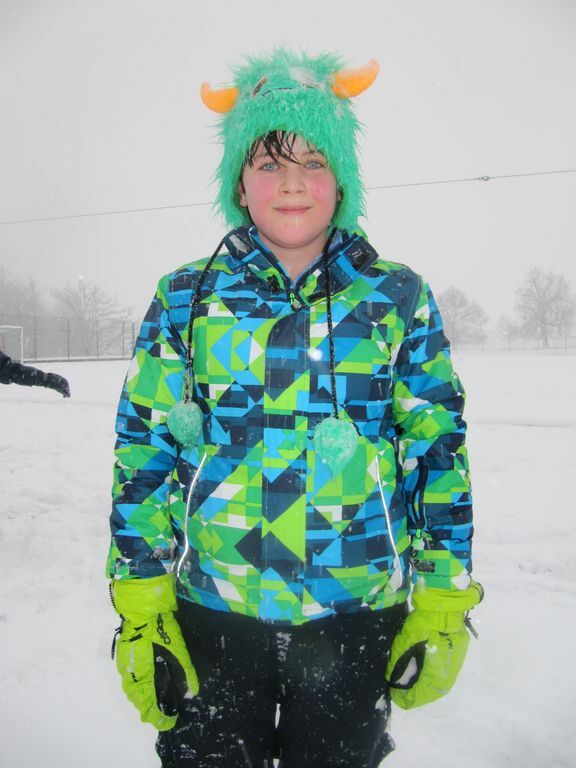 Some of the boys made igloos in second break, and a huge snowman. 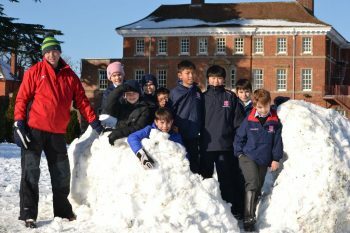 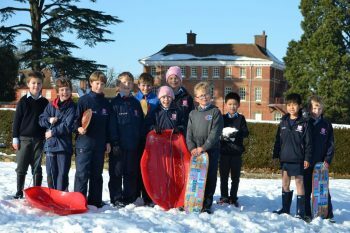 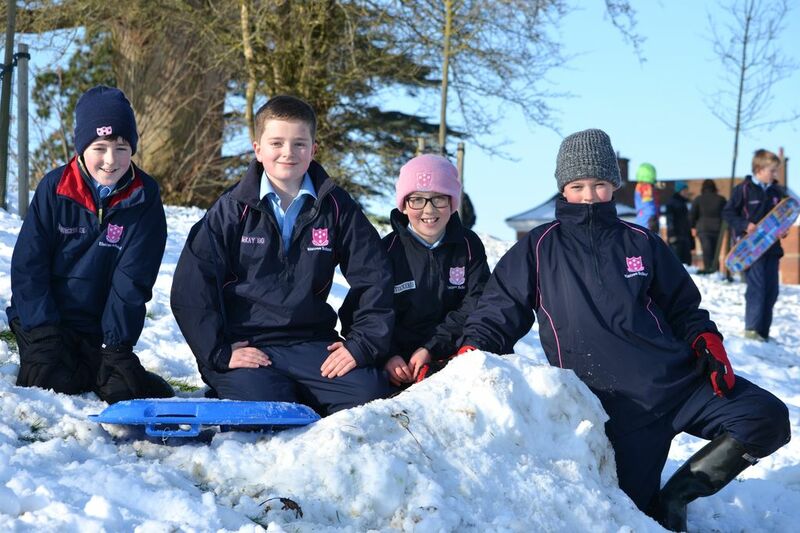 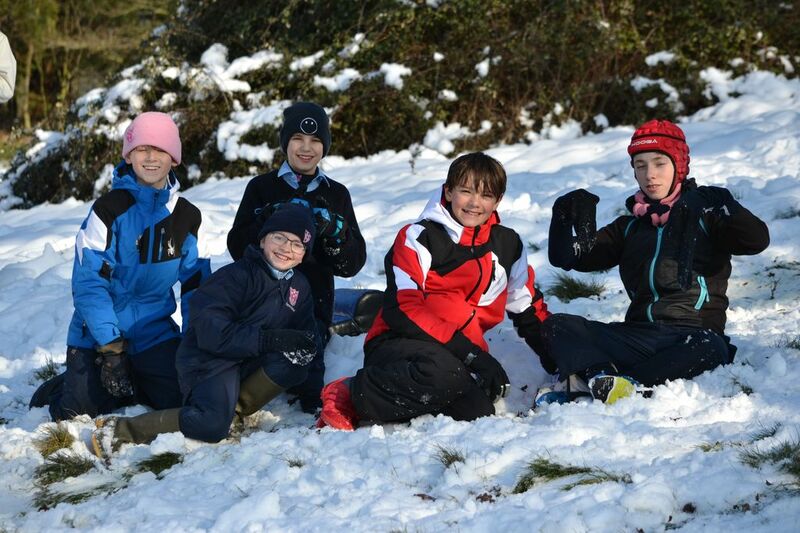 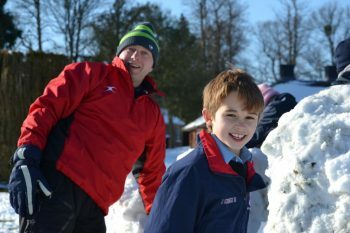 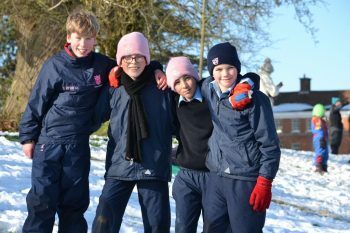 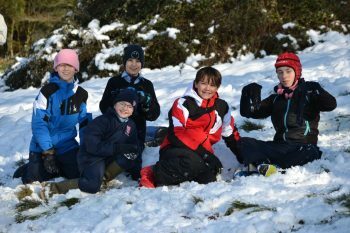 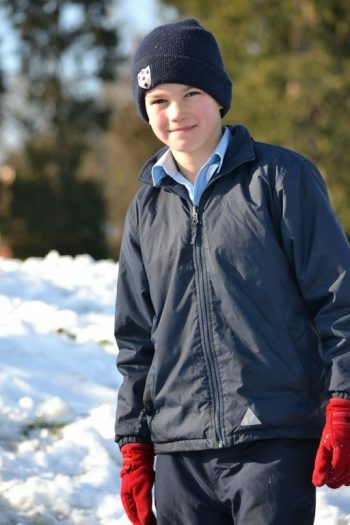 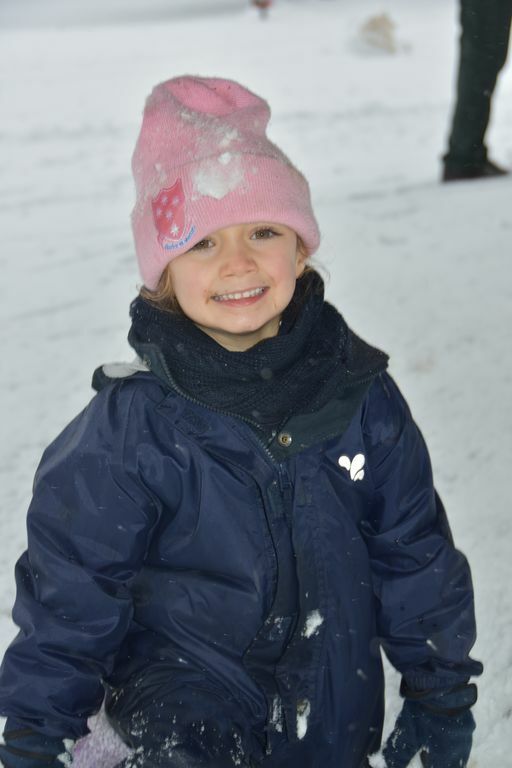 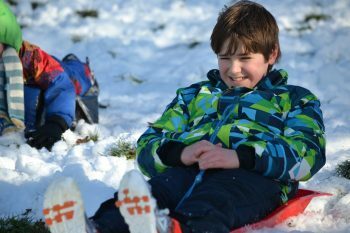 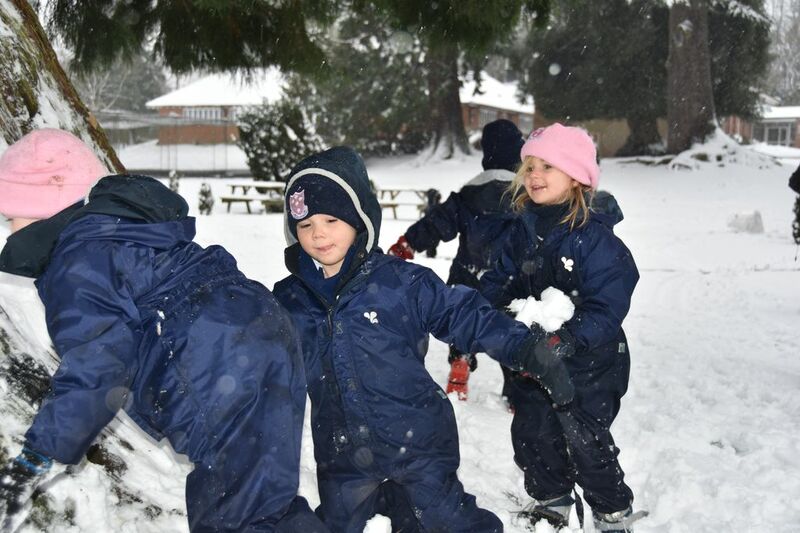 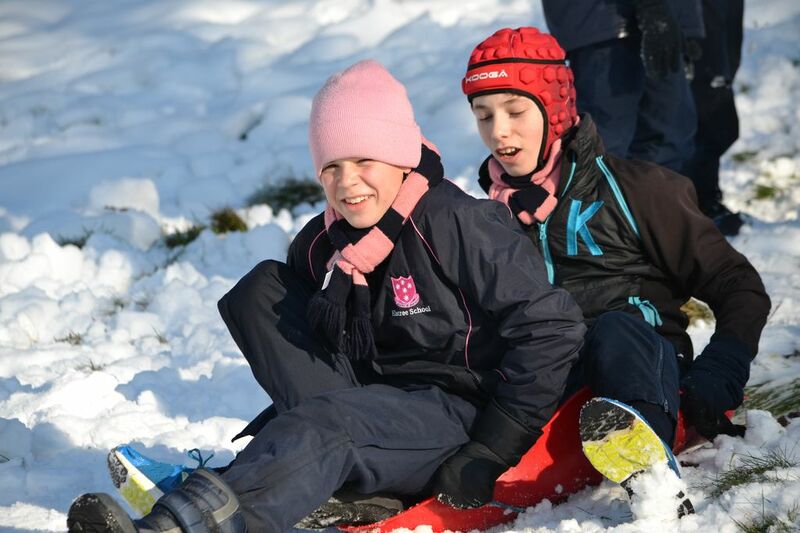 After lunch and rest they headed out for a snowball fight and more snowman building, followed by time to test out their newly created snowboards and toboggans on the Bates hill and in Park. 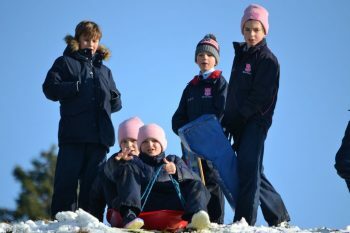 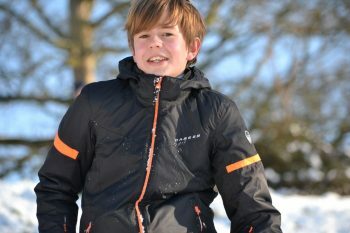 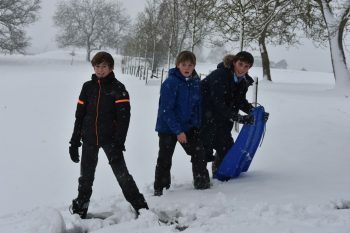 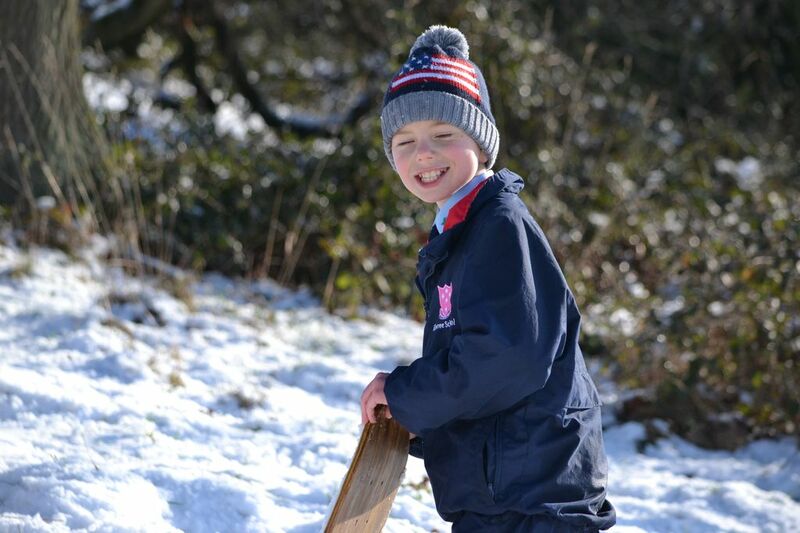 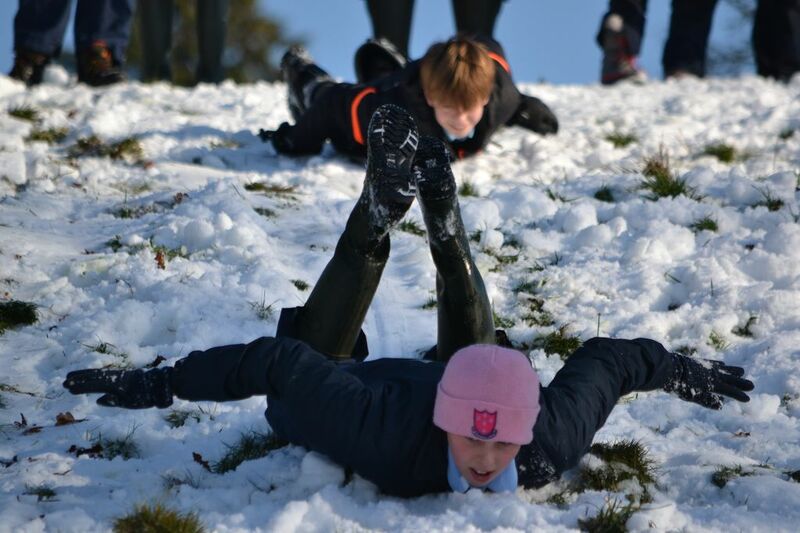 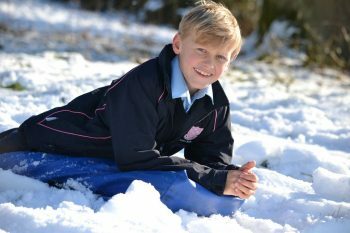 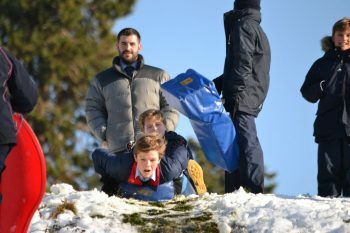 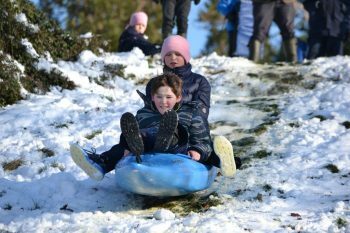 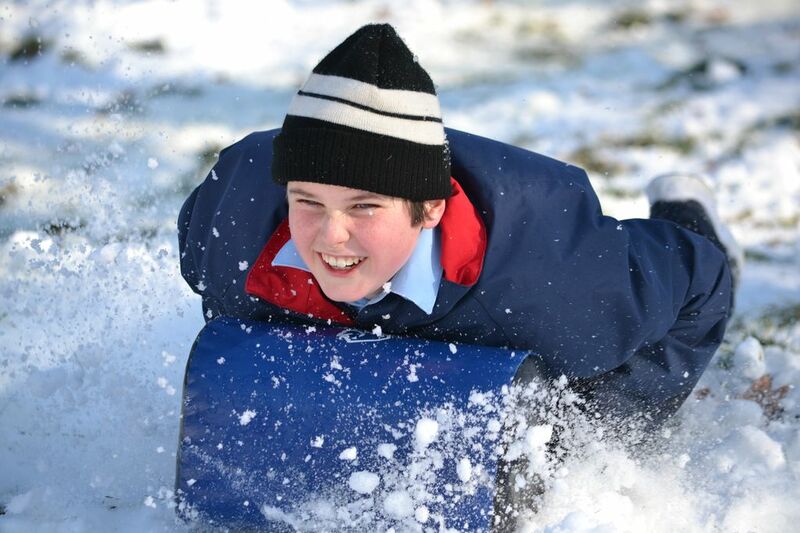 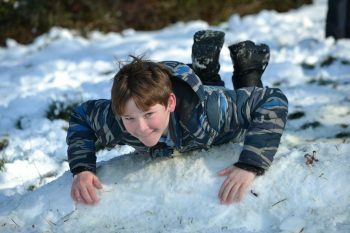 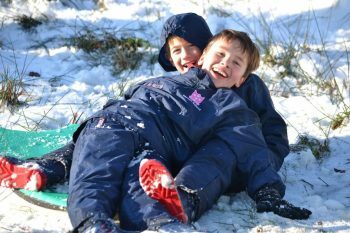 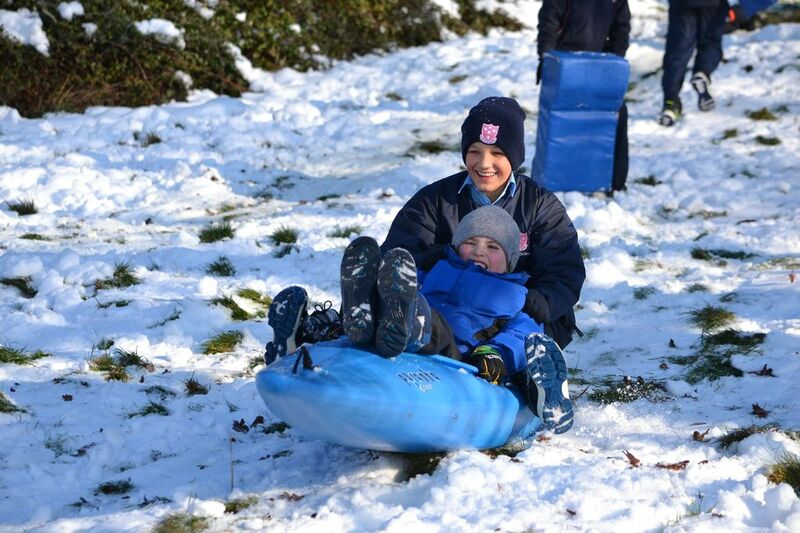 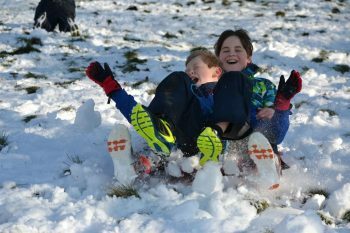 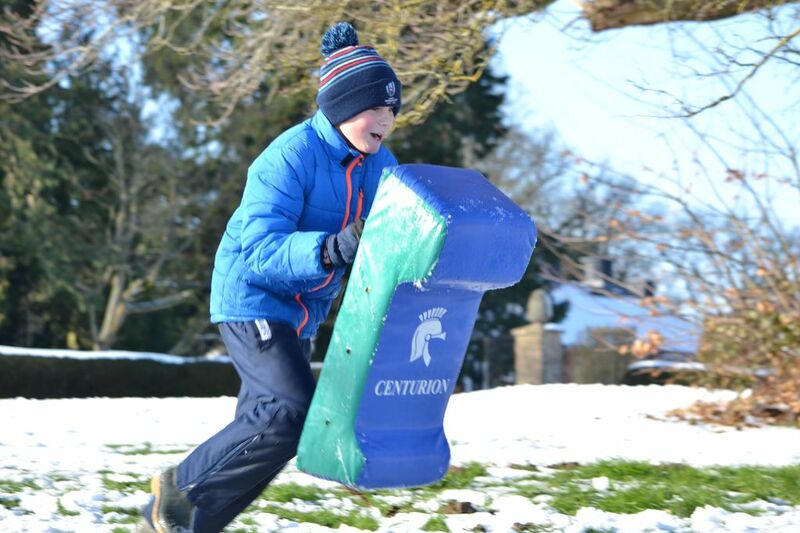 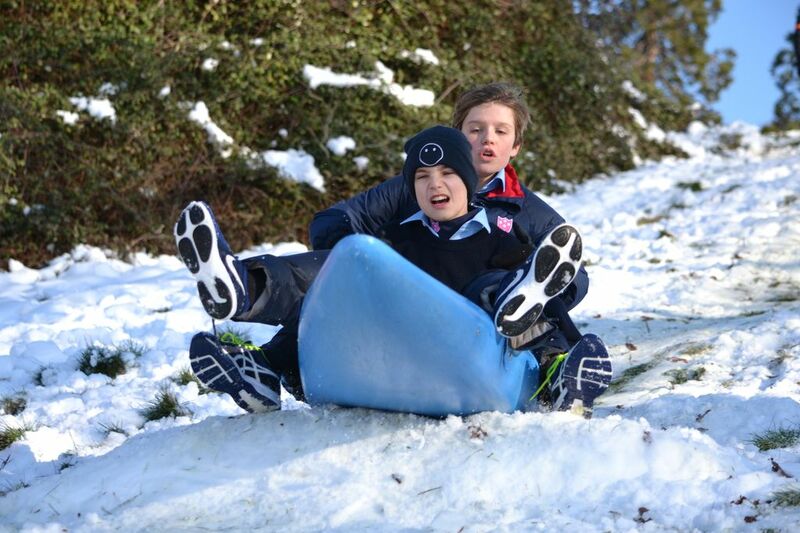 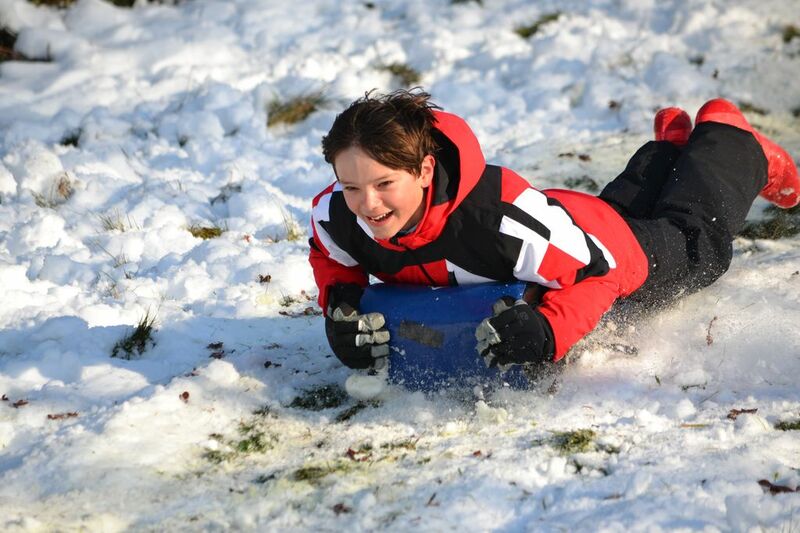 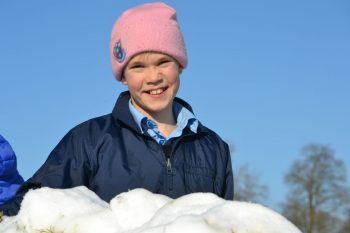 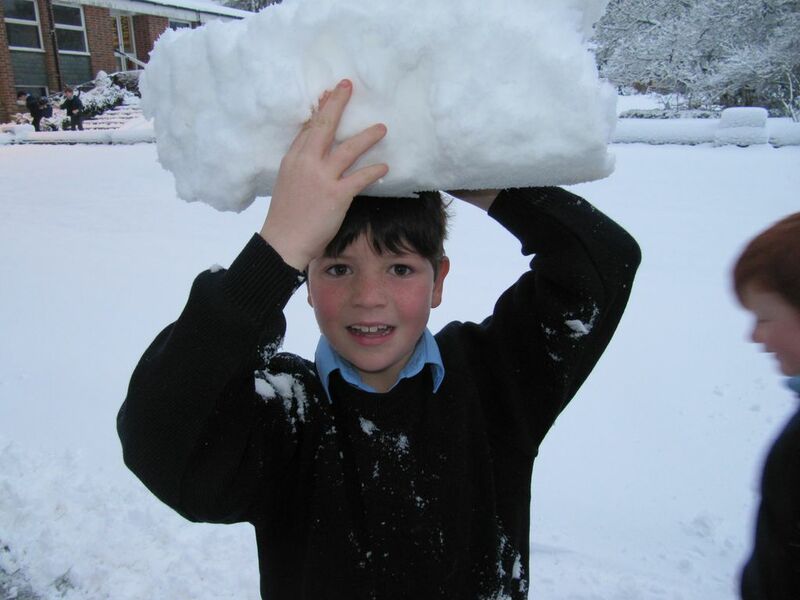 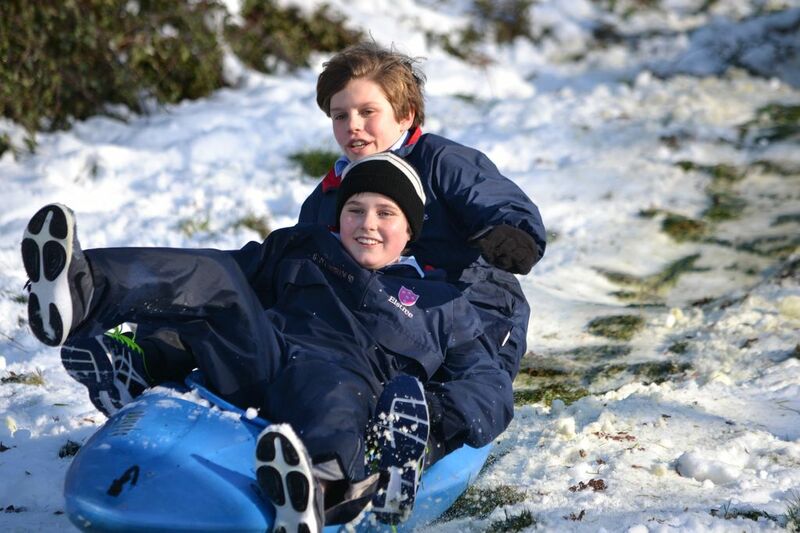 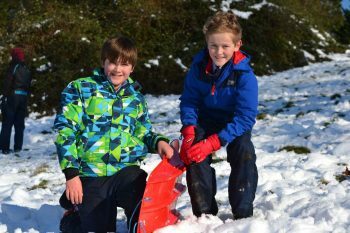 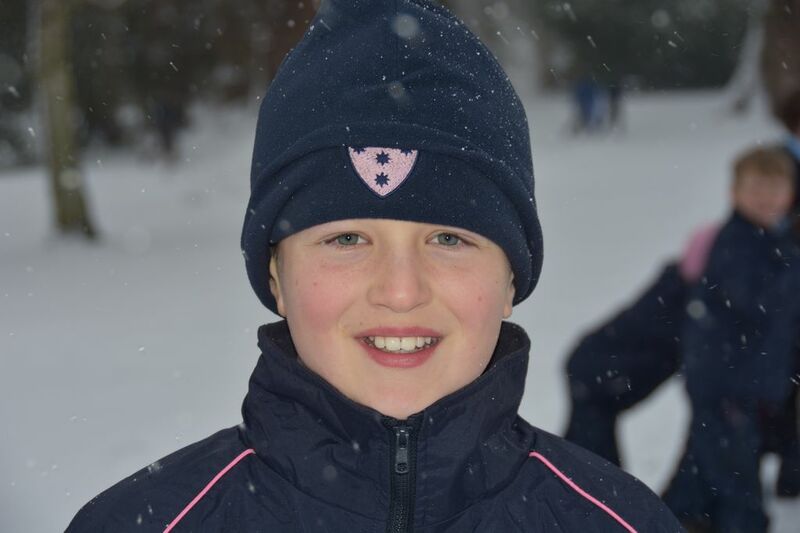 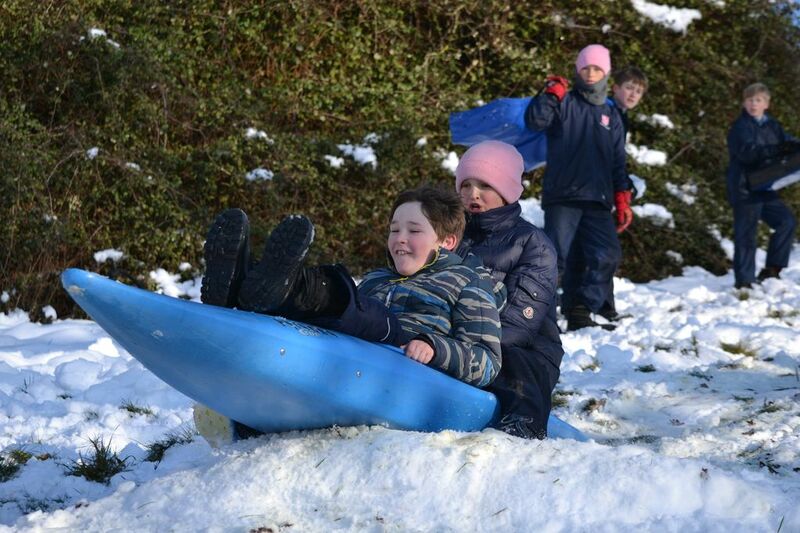 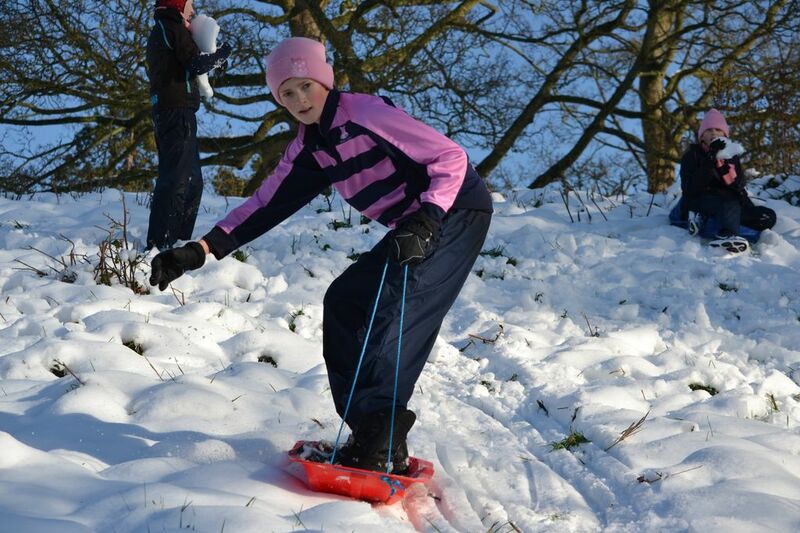 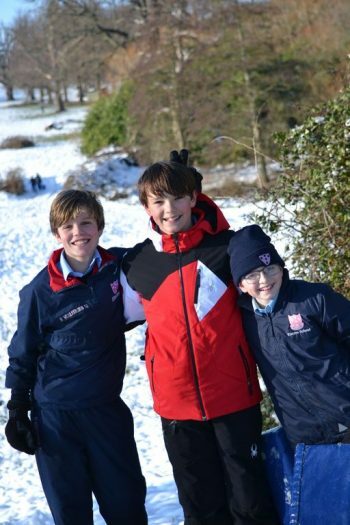 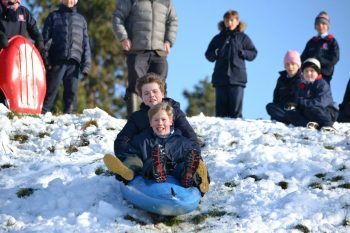 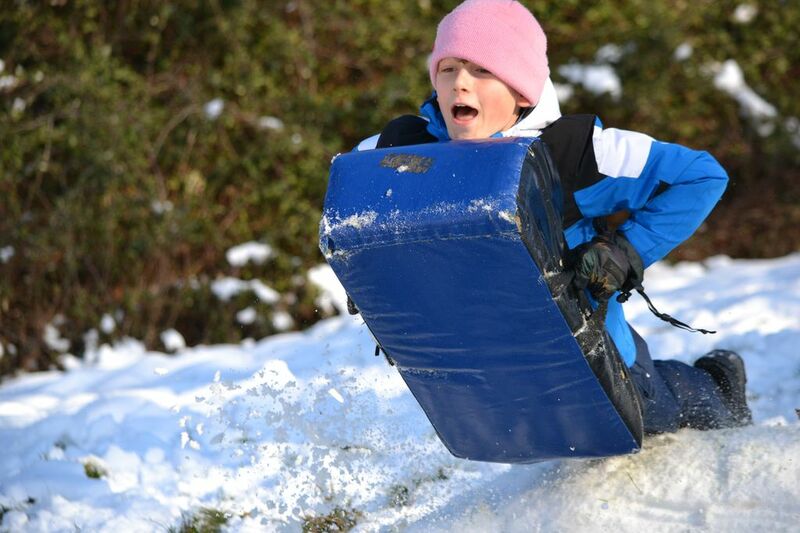 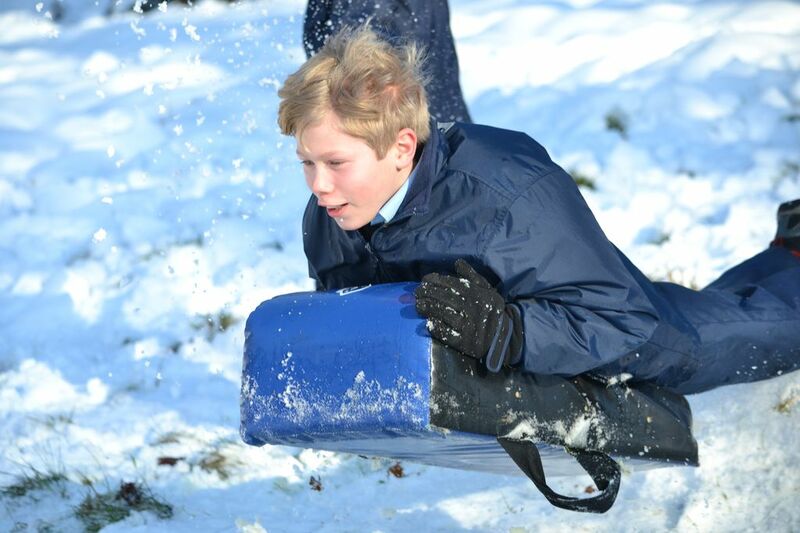 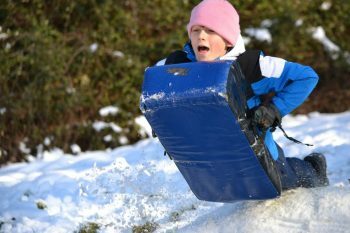 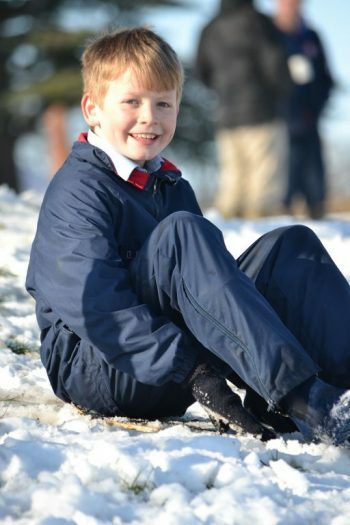 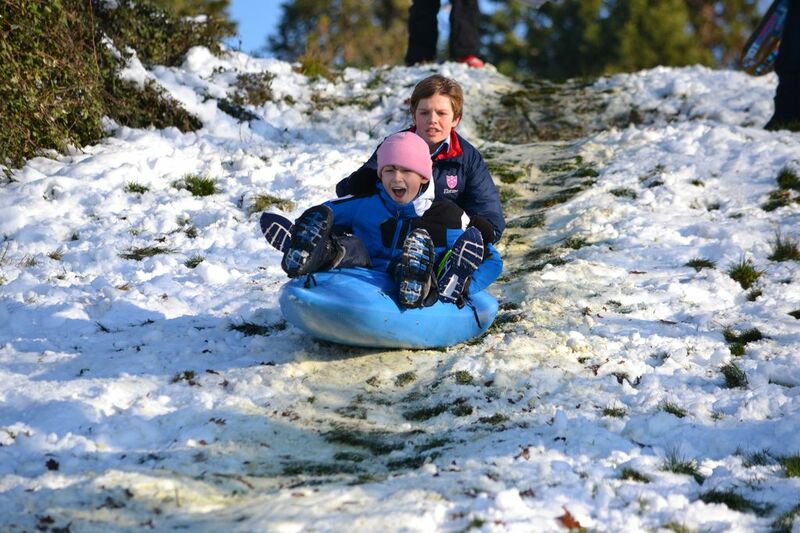 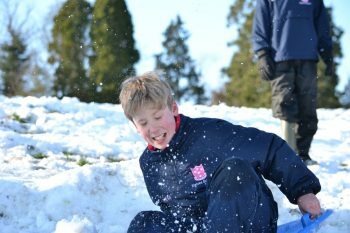 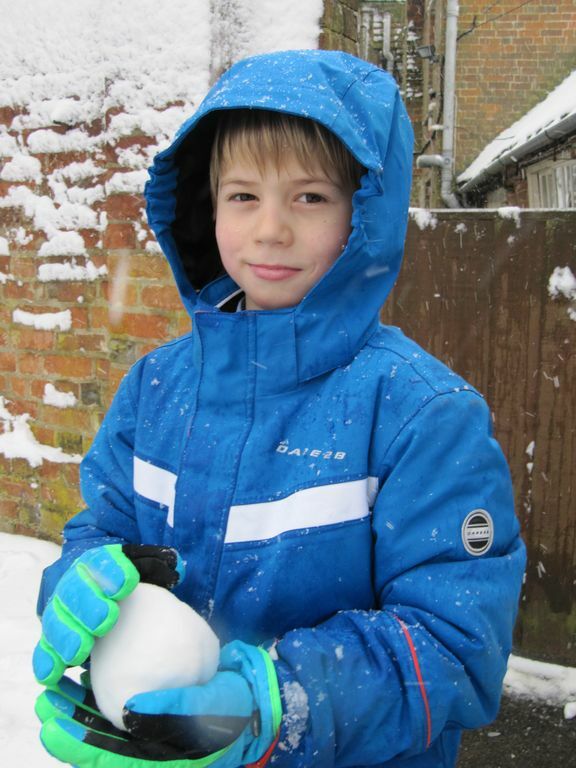 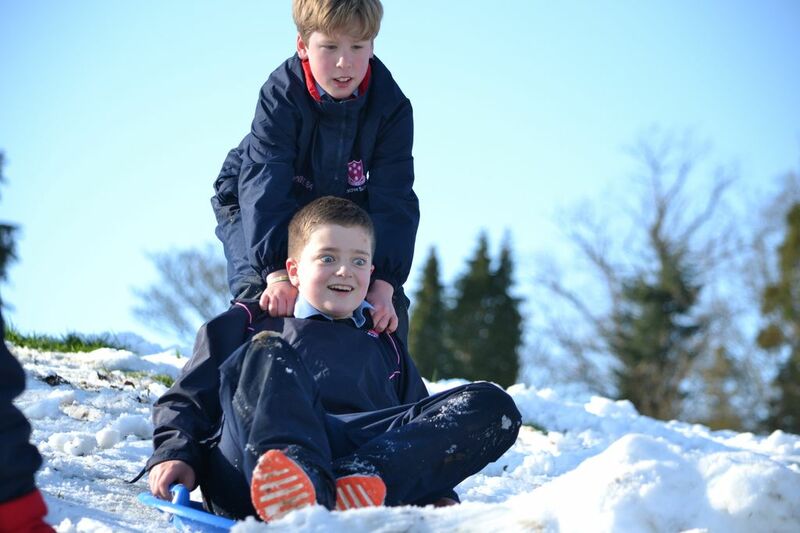 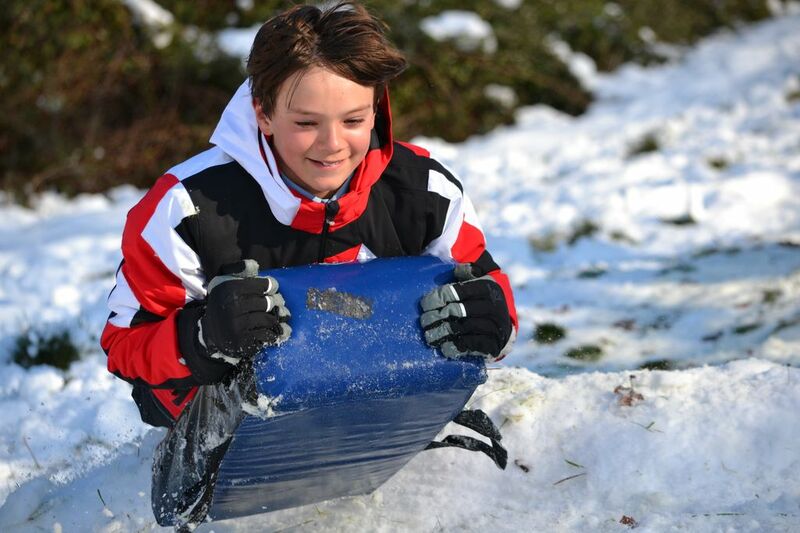 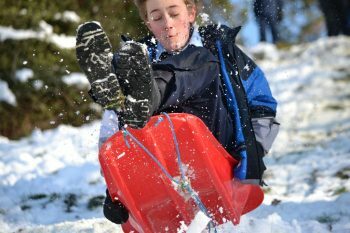 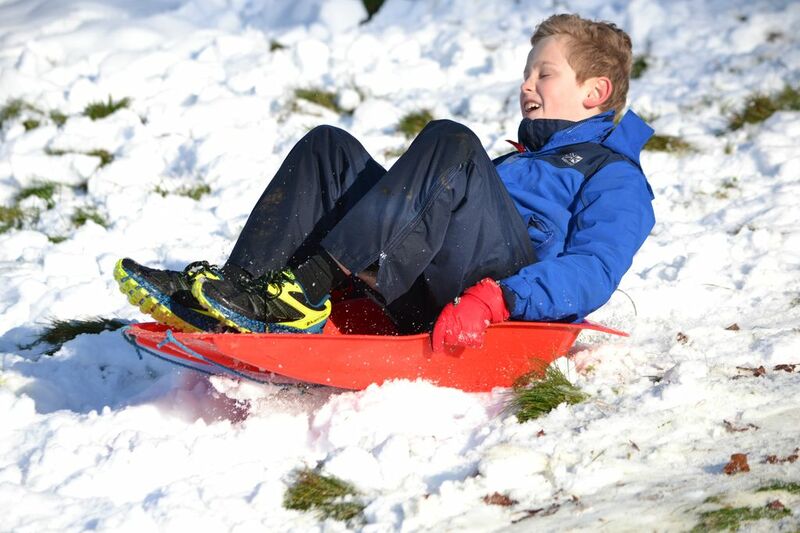 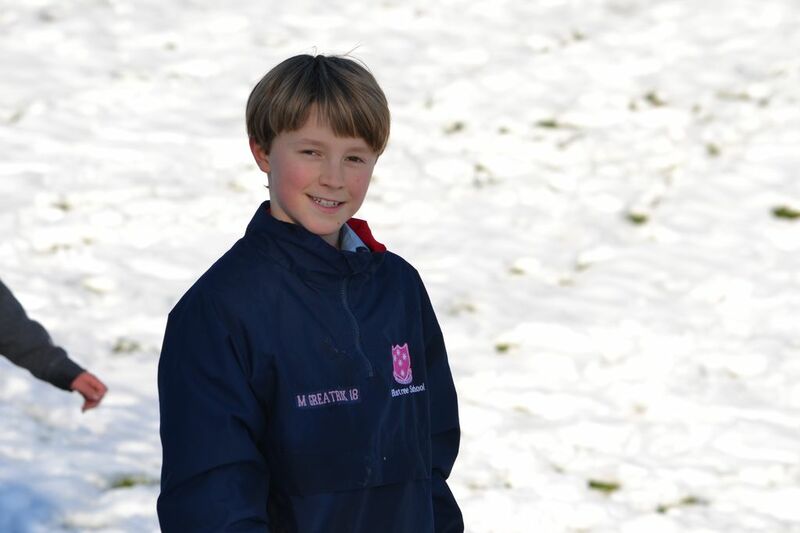 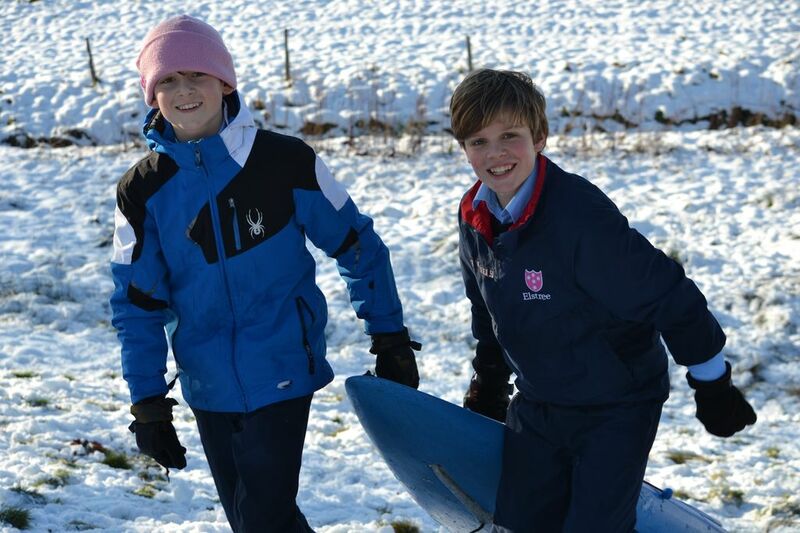 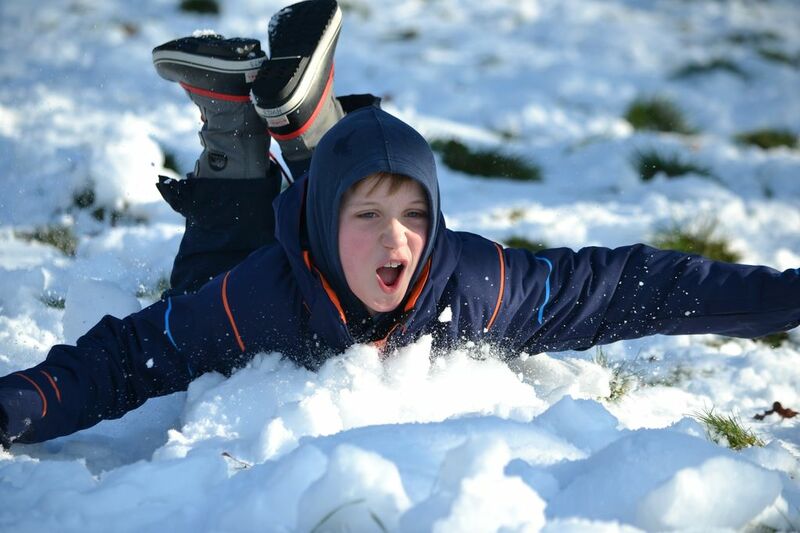 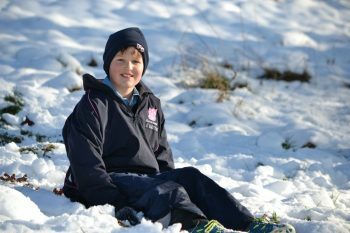 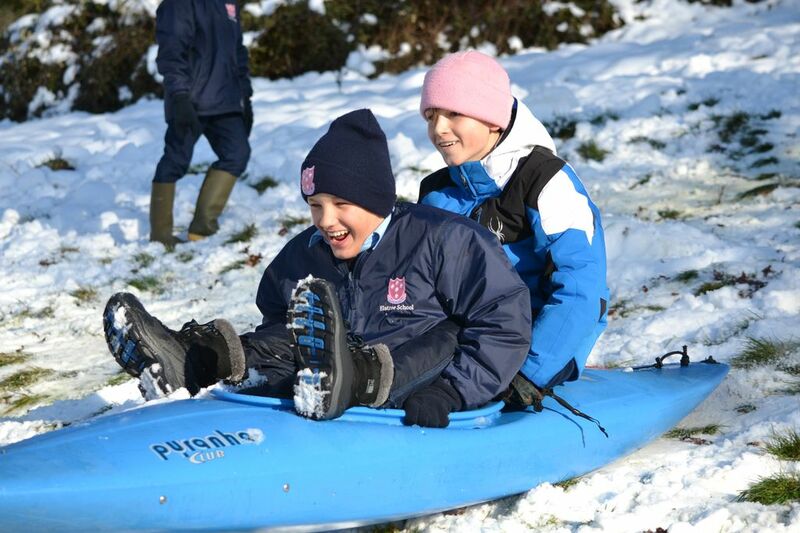 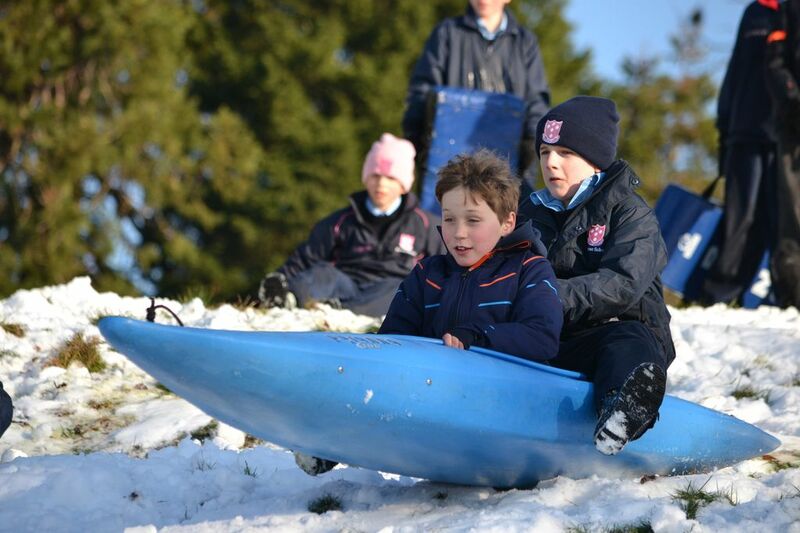 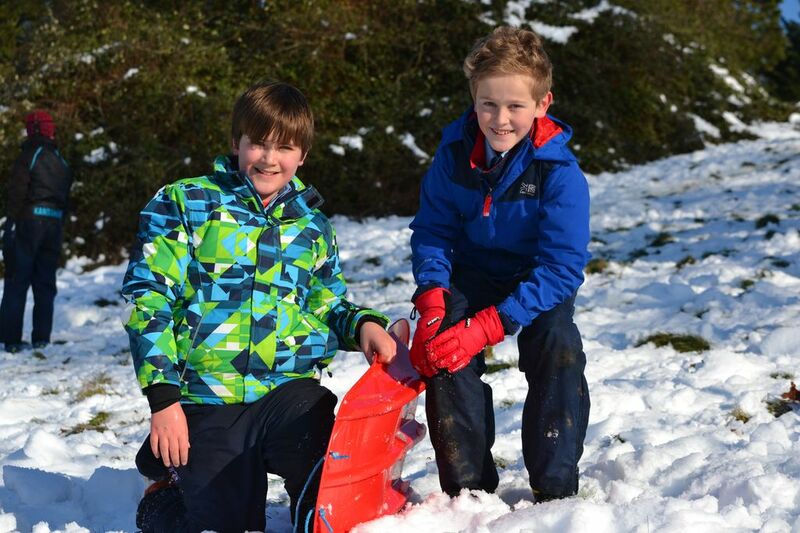 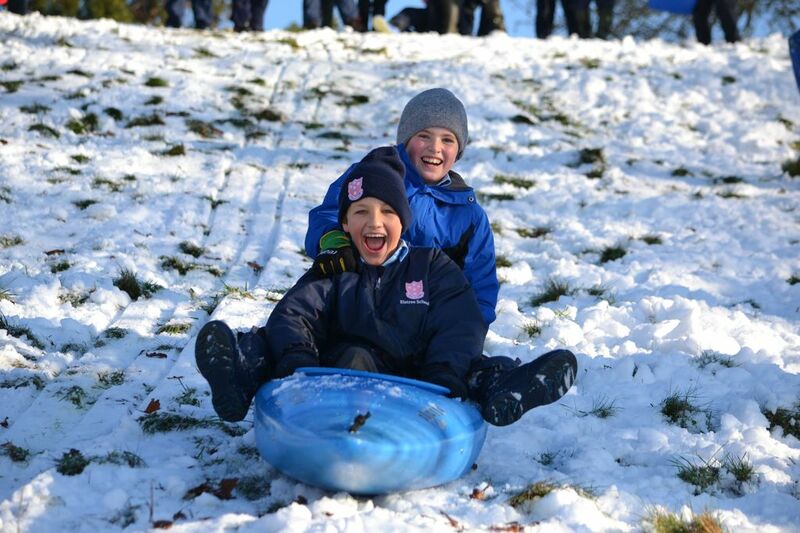 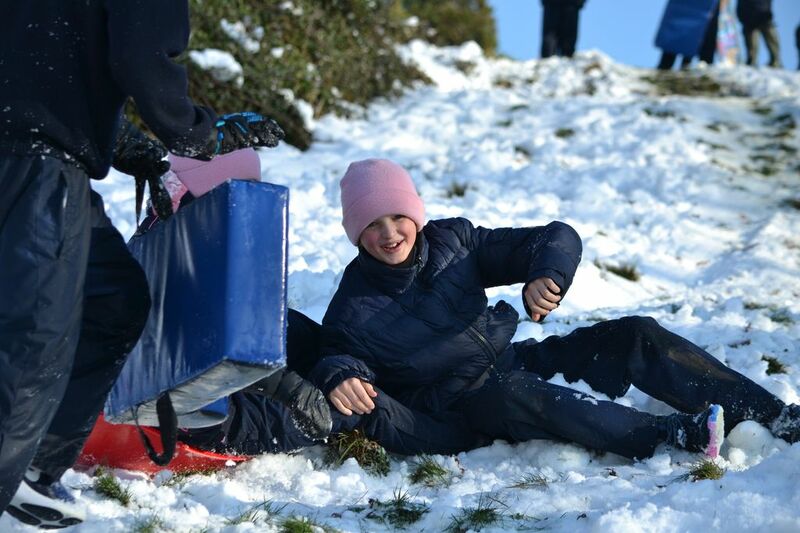 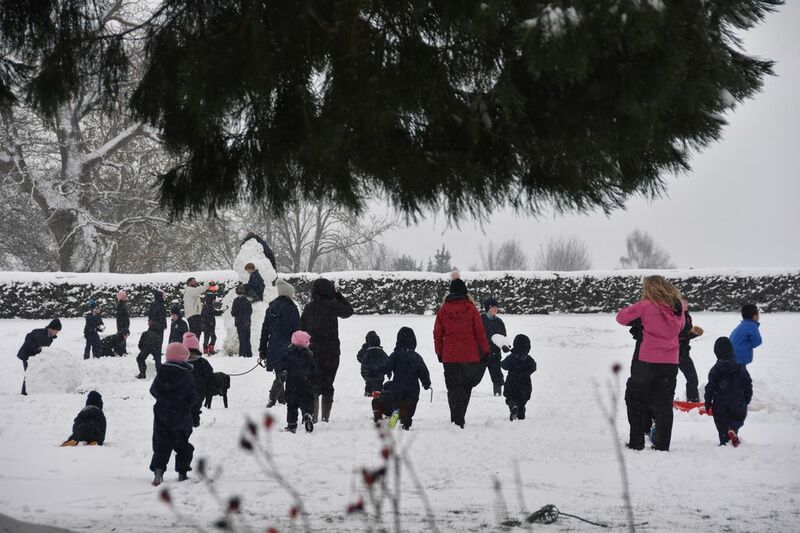 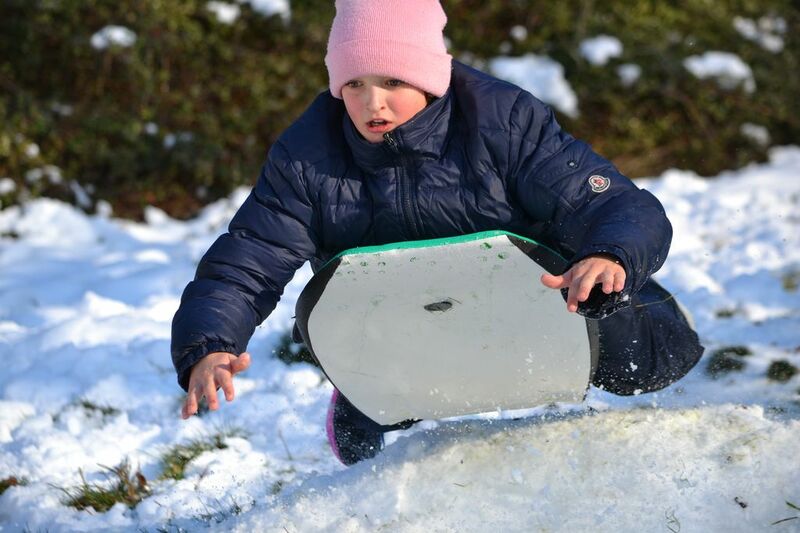 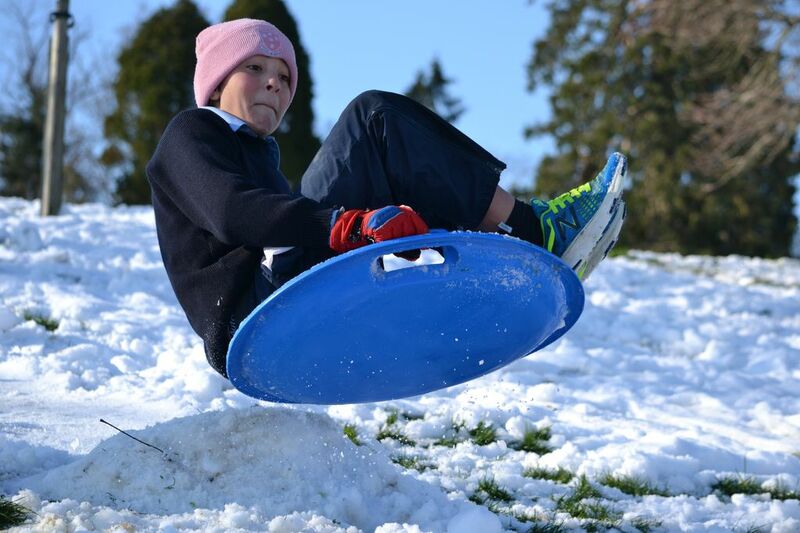 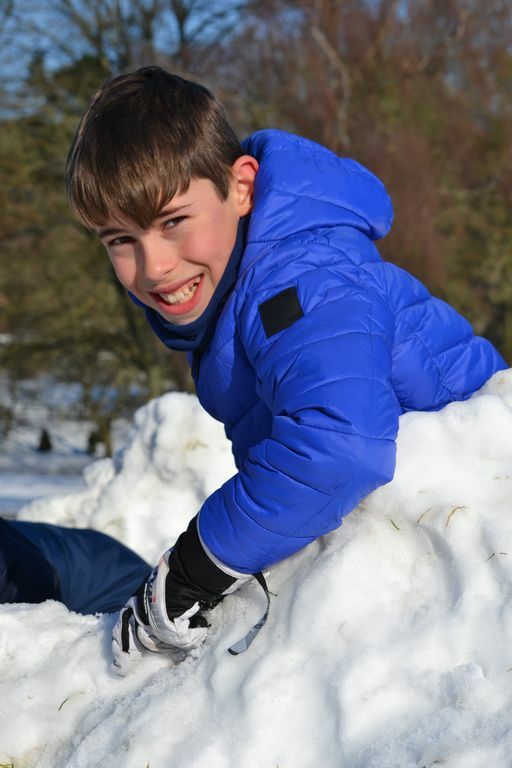 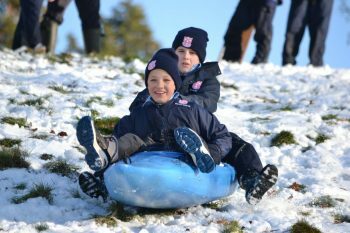 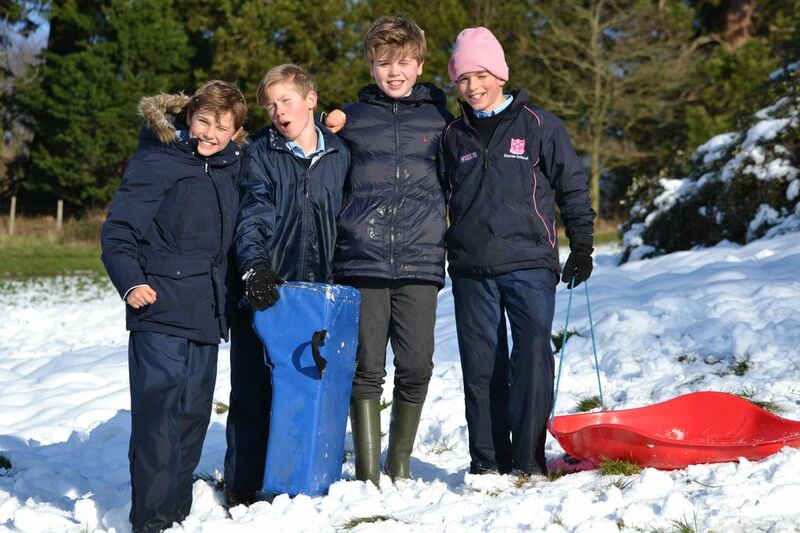 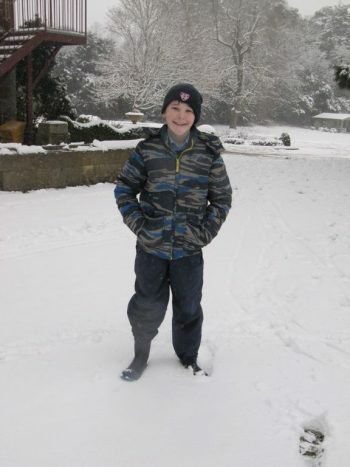 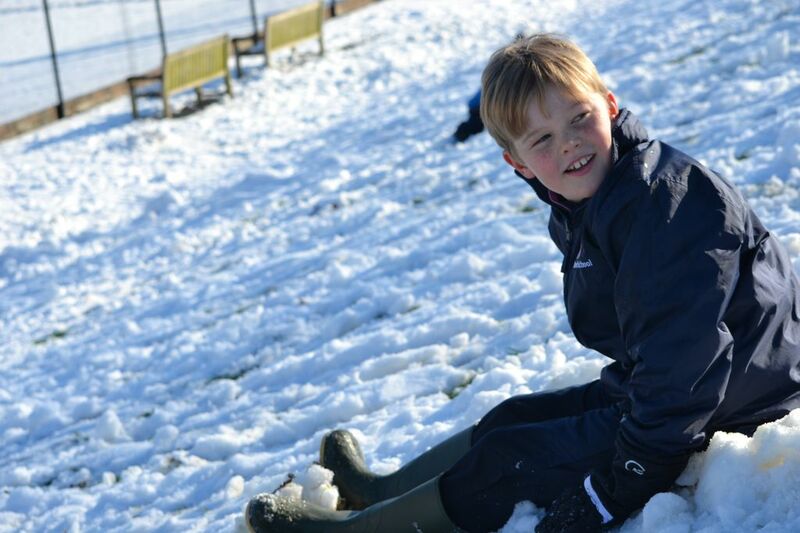 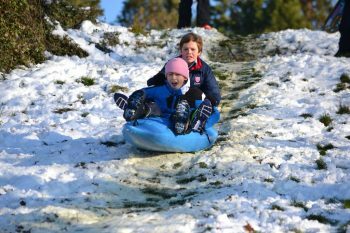 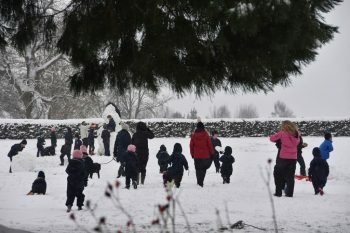 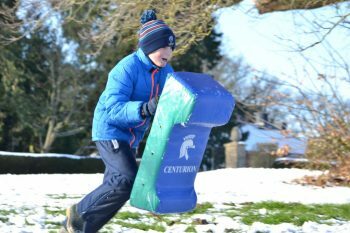 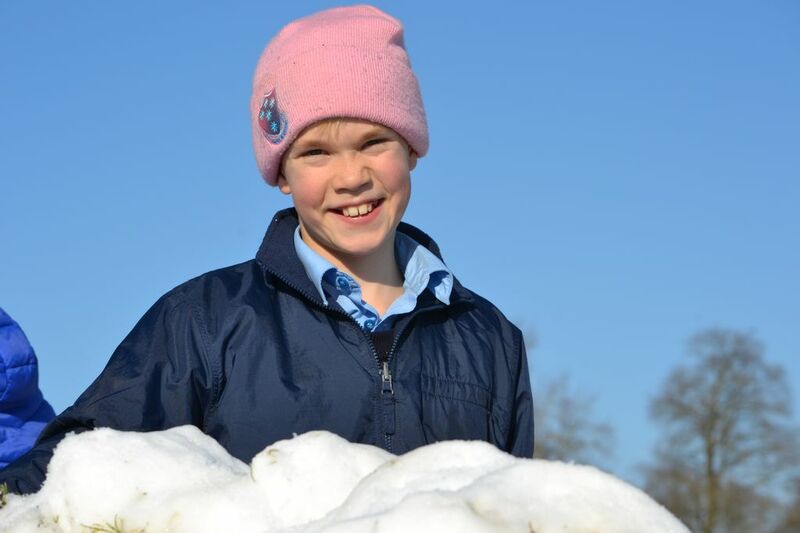 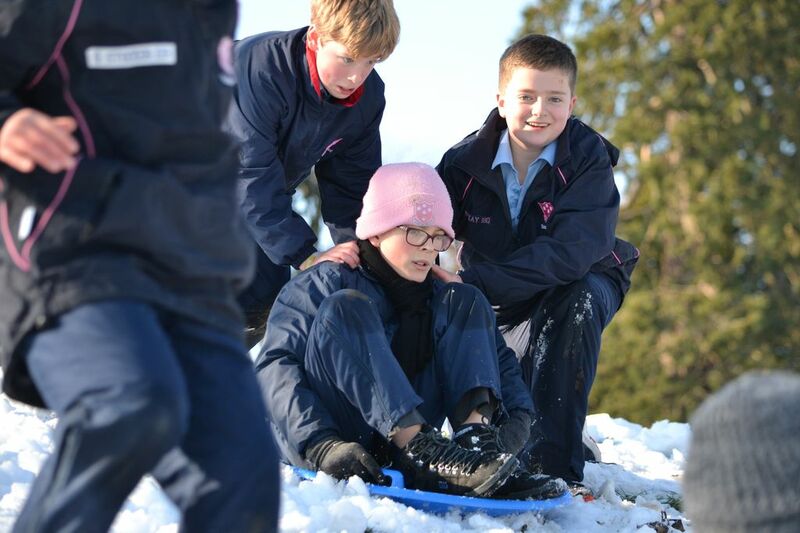 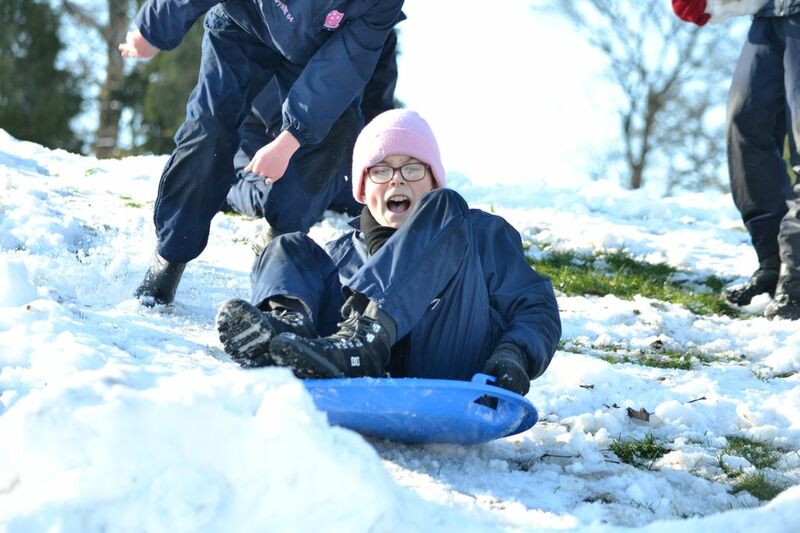 Snowballs flew and the boys whizzed down the hills including on canoes (some more successfully than others). 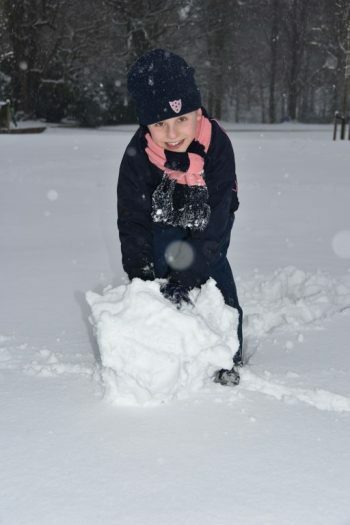 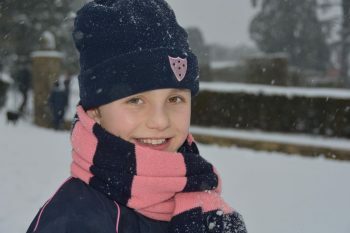 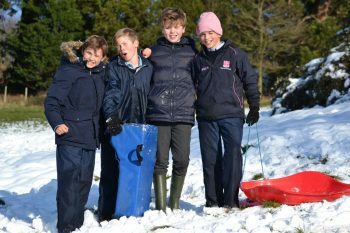 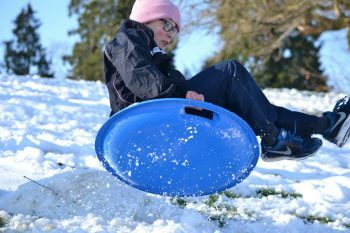 As the light dropped, they came inside for hot chocolate and a chance to warm up before a session of board games in the library, table tennis in the McMullen Hall, games in the Sports Hall or corridor cricket on Uppers. 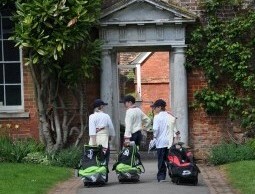 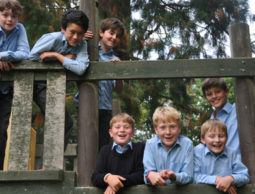 There was plenty of chatter about the day and the boys all thoroughly enjoyed themselves.